If you want to create something unique, research is a must. We’ve said as much before, but what we haven’t told you is that the internet isn’t really enough. To tell the reader something they didn’t already know, to mine the details that make your work feel realistic, to hit the third draft and suddenly discover a constellation of interconnected ideas and themes in your own work, you’re going to have to go deeper. While the internet isn’t going to fulfil all your research needs, it is nevertheless an amazing tool – the grand library of humanity – and diligent authors using the web to research their work are absolutely doing the right thing. There’s a wealth of knowledge accessible from your home, and it’s entirely possible that the majority of the information your story needs is out there. There’s nothing wrong with researching online, and it’s one of the mightiest weapons in your author’s arsenal, especially if you’re not a full-time author and your time is precious. What follows is the case for supplementing your internet research – not the case for abandoning it, or even the case for replacing it with something else. After all, if you go out on a bike, you should wear a helmet and drive safely. If you’re halfway internet savvy, you know the failings of the internet are almost universally overblown. The unreliability of sources like Wikipedia are legend, but such issues fade away if you’re willing to take ten minutes to check their sources, and the deluge of false information online is a problem only as much as in any other medium. To do good research, you have to first research the sources you can trust – laziness breeds ignorance, but that’s not a problem unique to the digital space. No, a diligent author has the tools to tell what’s true and what’s not, so what is the problem with doing all your research online? There are two answers: curation and aggregation. If you’re researching information online, it’s as likely as not that the way it’s presented is the result of third-party curation. This isn’t a complicated idea – it just means that someone has taken the original information and presented it to you in a different form. They’ve read a study, or a group of articles, and picked out what they think makes good content. Often, they’re right, but the issue is that, without really realizing it, you’re getting your information through the lens of what someone else thinks is important. In short, you don’t know what you don’t know. Again, this is something you’ll encounter in all media, and being willing to look at multiple sources to get a wider idea is useful, but curation still causes problems when you’re entering a new topic. For authors, this is a pronounced problem, because they need to know a lot of details about areas they’ve never studied before. If you’re depicting a fantasy kingdom, for example, there’s a lot you need to know about, and the curated content common on the internet can leave you with the false impression that you’ve got everything you need. I think it has to do with nature of information. Information has value, and the right information has enormous value. For all of human history, we have lived in a time of information scarcity, and having the needed information was always important, and always worth something… In the last few years, we’ve moved from an information-scarce economy to one driven by an information glut. According to Eric Schmidt of Google, every two days now the human race creates as much information as we did from the dawn of civilization until 2003. That’s about five exobytes of data a day, for those of you keeping score. The challenge becomes, not finding that scarce plant growing in the desert, but finding a specific plant growing in a jungle. We are going to need help navigating that information to find the thing we actually need. Curation serves an agenda, even if that agenda is just entertaining the reader, but the issue for authors is that they don’t want to be entertained – they’re mining for details, and they don’t yet know what they’re looking for. In terms of online content, ‘aggregation’ has come to mean the repetition of information caused by many different people all trying to constantly deliver content. In the aggregation machine of the internet, a new fact isn’t assessed and shared in the appropriate place – it’s passed from person to person, appearing again and again in different forms. On its own, it’s a fascinating study in memetics, but for authors, it can create the illusion that the aggregated information is the important information. If you go looking for information about a particular person or place, you’re entering a storm of curated, aggregated content that can seem like it’s giving the full picture when actually it’s a passing moment of entertainment. Take, for example, the affection in which Nikola Tesla is held by certain corners of the internet. This affection has led to a slew of articles and videos about Tesla – and the average person can learn a lot – but if you’re writing about Tesla and this is your main source, you’re not going to find a) any information that his fans don’t already know or b) a unique perspective that can inform your work. As Gaiman says, you’re left looking for a specific plant in a jungle, but you don’t even know what it is. This being the case, what can authors do to supplement the internet with other types of research? What’s the solution? Most authors have a pre-existing affection for libraries, but those who want to research their work have another reason to love them. It’s not that published works are objectively better than what you’ll find online – though if you don’t feel confident in who to trust online, there is a benefit here too – it’s that they haven’t gone through the same process of curation and aggregation. The latter is far less prevalent, and while the former is always going to exist, it’s at least a different type of curation – you’re getting a new perspective. In describing the process of their independent web series, Tony Zhou and Taylor Ramos argue that library research is a must for modern content that strives to offer something new. A huge percentage of the Internet is the same information, repeated over and over again… they call it aggregation but it’s really just a nicer way to say regurgitation. It’s very tempting to use Google because it’s so quick and it’s right there, but that’s exactly why you shouldn’t go straight to it. By taking your research to the library, you’re immediately breaking out of the online cycle of repetition, and your work will improve immediately. It may sound like hyperbole, but that last sentence is vital – it’s not that libraries offer better information (that’s a case-by-case argument), it’s that they offer information of a different texture. 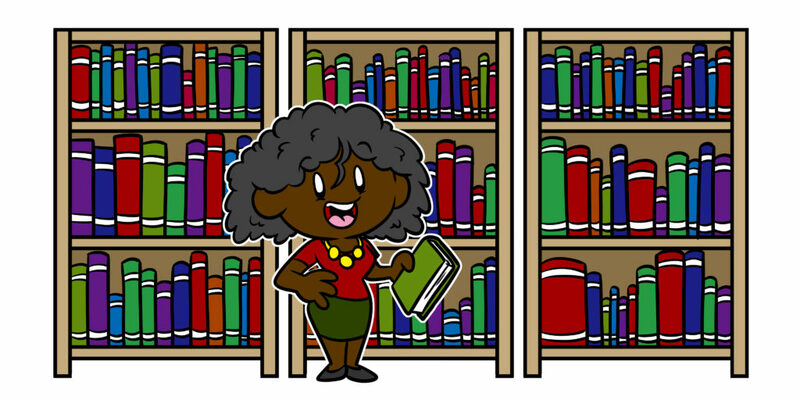 The information you find at a library has a different accent to what you’ll find online. You may not realize the effect this has on your work, but simply by approaching it from a different direction, it will look and sound different to the reader. In an artistic sphere where many argue every story has been told, and most identifiable genres are glutted with content, that has real value. Researching away from home is difficult – no-one’s claiming otherwise – but the effort that goes into your research will show in your writing. First of all, it’s important to note that your time is precious, but then again, so is your art. I’m not suggesting that you spend your lunchbreaks poring over books in the nearest library, but a planned research trip will generally turn up gold. It may mean making a sacrifice elsewhere, but your book and your readers will benefit. The greatest part of a writer’s time is spent in reading, in order to write: a man will turn over half a library to make one book. Here’s the thing, though – putting that effort into finding new information has a way of making it your own. Searching high and low imparts an ownership that Googling doesn’t. Part of that is that trawling through books for information imbues more accidental learning than searching Google results; you have to take in a little more information before you know to move on. Over time, this gives you a grounding in areas related to your subject – accrued factoids that either color the information you were looking for, prompt you to explore new pathways, or just crop up later in unexpected ways. That’s the logical side of things, anyway, but there’s also an undeniable, unique magic to going on a quest to find treasure and coming home successful. If you’re lacking the energy to write, this kind of research might be exactly what you need, since it breeds interest not just in the subject you’re researching but in the project itself. Read authors’ accounts of successful research with this in mind and you start seeing that it gifts them a certain magic. Take the quote below, shared widely online but spotted, in this case, at the British Library’s ‘A History of Magic’ exhibition. I collect unusual names. I have notebooks full of them… And so far I have got names from saints, place-names, war memorials, gravestones. I just collect them – I am so interested in names. On its own, it’s an interesting tidbit, but in the context of offline research, it recontextualizes the names Rowling has gathered as treasures she had to work for. They’re made precious by the effort behind them, by their uniqueness, and it’s not hard to believe that this filtered through into the way Rowling thought about and developed her characters. There’s an investment there that doesn’t come from going straight to the curation source; a relationship that can give authors a new connection with their stories. Again, it’s not that researching online is bad, it’s just that taking your research offline – whether it’s to the library like Neil Gaiman or just the world around you like Rowling – offers new ways to find information and unique ways to approach your work. If you’re trying to write something that really sticks with a reader, consider the time and effort of offline research as a great way to get there. Specifically, keep libraries in mind – if the writing process end with being read, it begins in earnest with reading. What unique information has come to you from an unusual source, and what’s your favorite way to research? Let me know in the comments. Or, for more great advice on this topic, check out Learn How To Research Your Book With This Beginner’s Guide and Eleven Places You Can Find Inspiration For Your Writing. Your article is refreshing, especially the point about stimulating perspective and giving depth to writing! Thank you! My pleasure James, I’m glad you enjoyed it. On point Rob! I’m a recidivist researcher whose workplace is a world 2500 years in the past. To ‘mine’ such a voluminous body of classical information, I use methods which emulate the tactile behaviors and anatomy of an octopus … immersing, gathering, sifting, scrutinizing and selecting … with mind, body and intuition each actively engaged. That way, when I go “mining for details”, not only can I identify what I’m seeking, but also discover choice morsels I didn’t know I was “looking for”. Thanks so much for commenting – that octopus simile is definitely going to influence my own researching mindset. I know that I am very late to the party here, but I felt it worth commenting. Whilst I use the internet (a lot) and my own personal library of real books and journals, I find that real world activities bring a lot to my writing. I travel and interact with different cultures. I am directly involved in the types of activities that my characters are. I talk to other individuals who share my interests and I look for character traits in them that I can transcribe into my writing, building characters with depth, because in some small way they already exist in the real world. Thank you for the article. I enjoy reading your blog very much and find it a mine of information. My pleasure, Mandy. Thanks very much for sharing your insights.